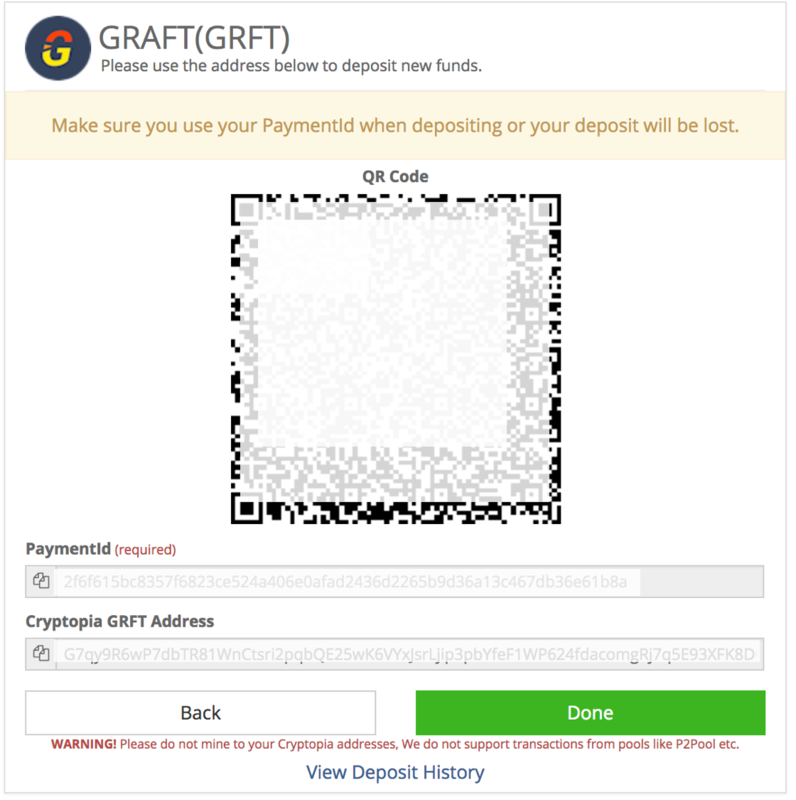 As you may have heard, GRAFT is getting listed on Cryptopia. The trading is schedule to start in a few hours, around 4am UTC on the 18th of July 2018 with the following trade pairs will be available – GRFT/BTC, GRFT/LTC and GRFT/DOGE. Cryptopia is a very reputable exchange located in New Zealand and a solid potential partner for parts of GRAFT network – we’re VERY excited about working with them! One thing to note is that currently Cryptopia has a deposit wallet set up as a non-integrated address, with payment ID as a separate field from the wallet address. This is an older way to do it and is incompatible with the mobile wallets which expect an integrated ID.